"BildungsBREI aufmischen - gemeinsam AUFLAUFen"! Studierende der Europa Universität Viadrina auf der Demonstration in Potsdam im Rahmen der Aktionen zur Global Action Week am 17. 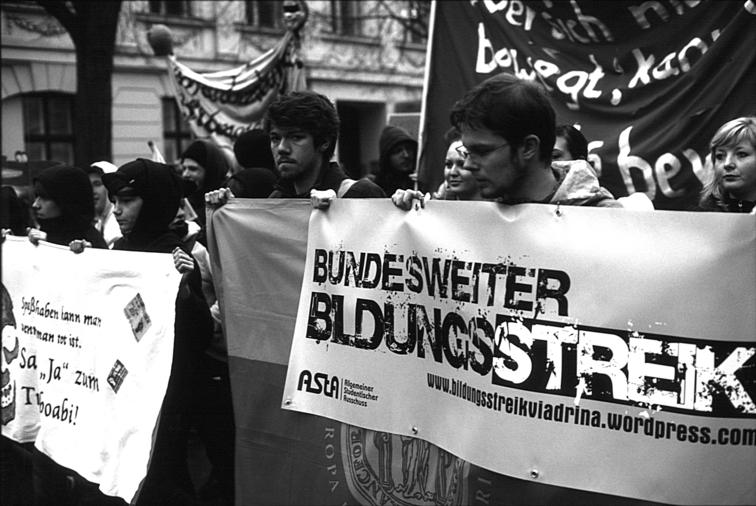 November 2009 unter dem Motto "Education is NOT for $A£€". Strong shot, really like the contrast, and the guy looking in your direction. Nice! was an impressive occasion. thanks for your comments! The photo has been viewed 2037 times.